Fox Sports has teamed up with GarageMonkey, a YouTube channel and network for automobile and racing fans, to roll out a video-centric social campaign promoting the upcoming Daytona 500. 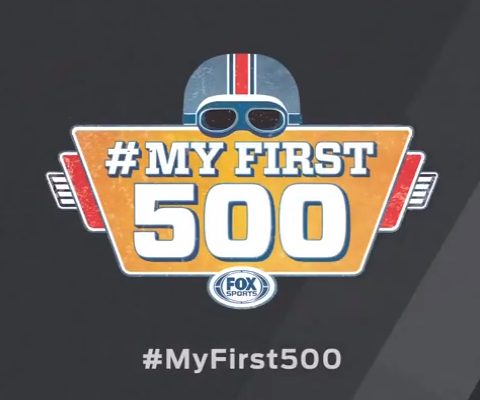 Labeled “MyFirst500,” the series will focus on people’s early memories of the famous race, which will be televised by Fox Sports. All videos created by Fox Sports and Garage Monkey channel partners will cover the week of festivities that lead up to the opening day (and Super Bowl) of the NASCAR calendar. Content will feature current and past drivers, owners, race teams, and other relevant players surrounding the February 14 Budweiser Speedweeks, Daytona 500 qualifying trials, and the big race itself. The campaign began on February 14, with early videos featuring race memories and insights from drivers such as two-time Daytona 500 winner and six-time NASCAR champ Jimmie Johnson, 2010 race winner Jamie McMurray, and former NASCAR Rookie of the Year Kyle Larson. Other videos include Fox Sports personalities like “NASCAR Race Hub” hosts Danielle Trotta and Adam Alexander, among others. All clips will be available on Fox Sports’ website and GarageMonkey.com. 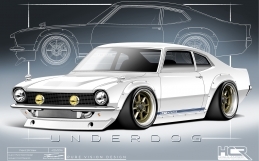 Known for its automotive content, the Garage Monkey MCN includes a roster of auto and lifestyle providers like Fast Lane Daily, World’s Fastest Car Show, AdeysWorld, EngineeringExplained, and SubaruWRXFan. Since last year, Garage Monkey also owns a license for Speed, a motorsports brand created by Fox Sports. (In exchange, Fox Sports took a minority stake in the YouTube network.) All in all, the network combines to reach more than 1 million subscribers on YouTube. The Daytona 500 will air on Fox Sports on February 22 at 1pm ET. Fans can share their own experiences of the race, via videos or photos, on social media using the tag #MyFirst500. These stories will also be curated and displayed on custom pages on FoxSports.com and GarageMonkey.com. The “very best of that content” may also appear as sponsored interstitials on Fox Sports 1 leading up to the Daytona 500 telecast, the companies said.